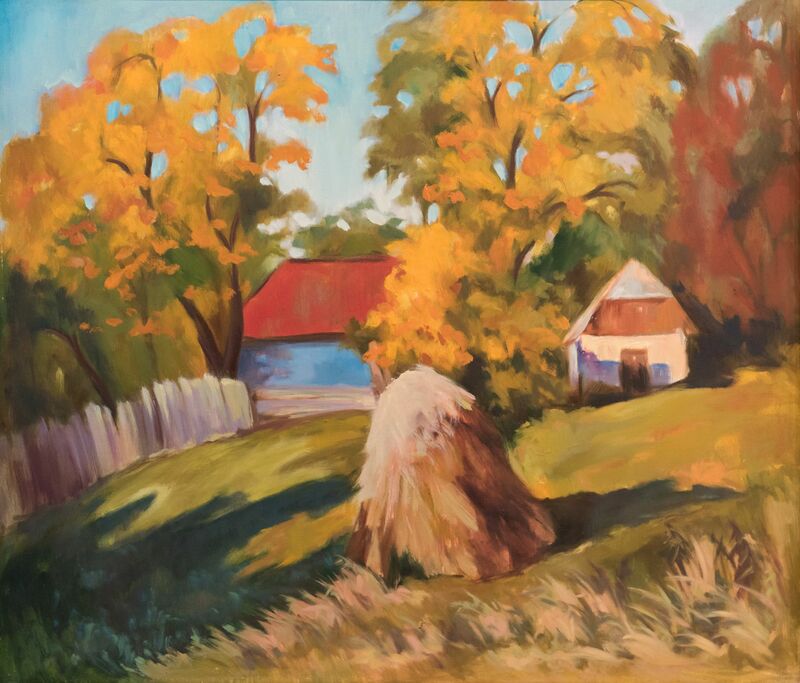 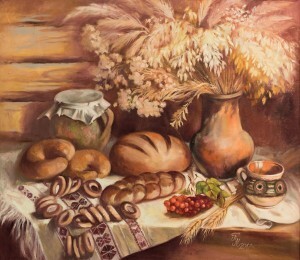 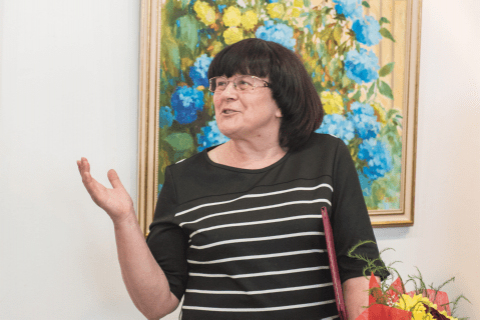 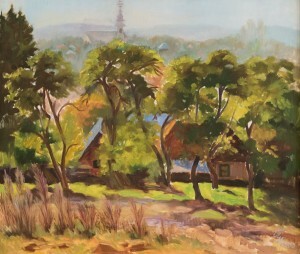 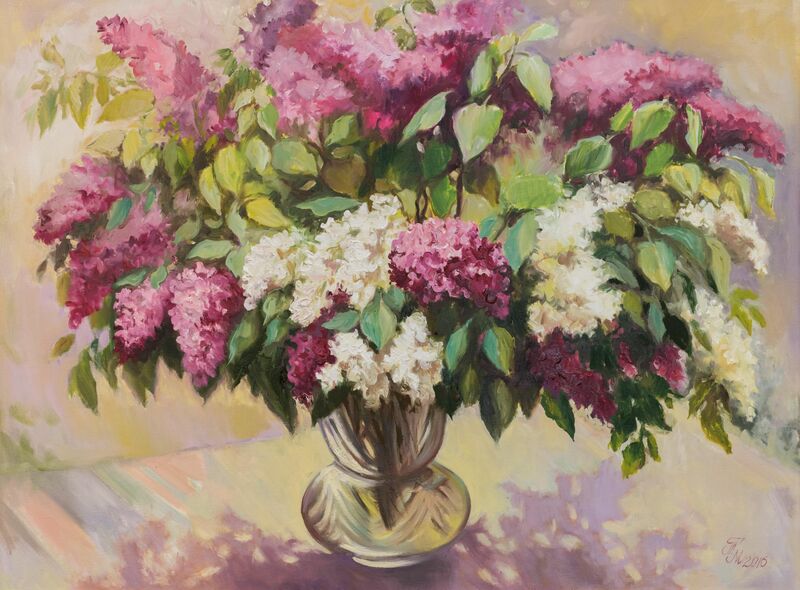 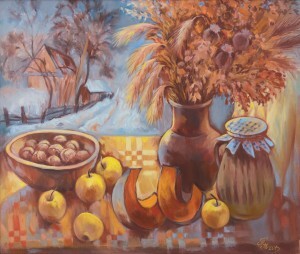 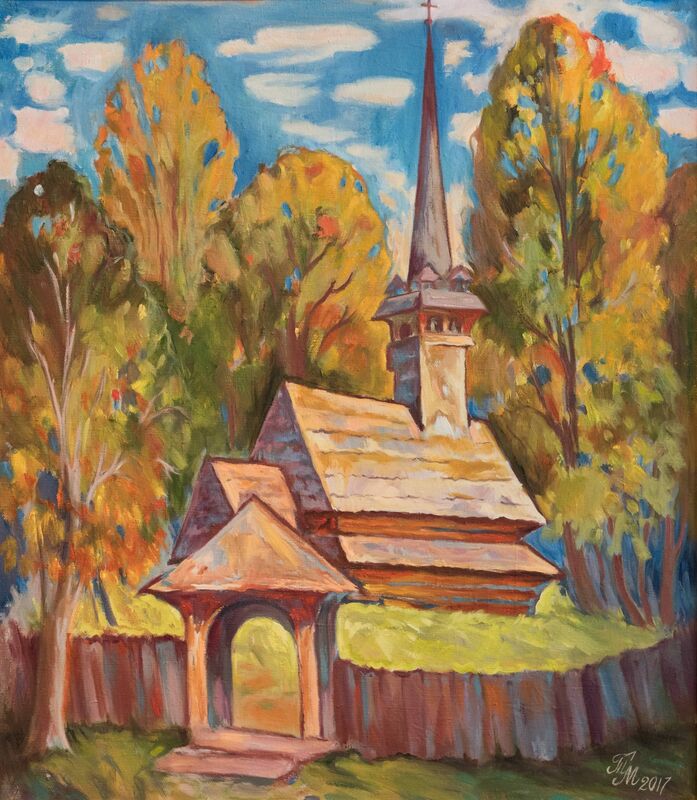 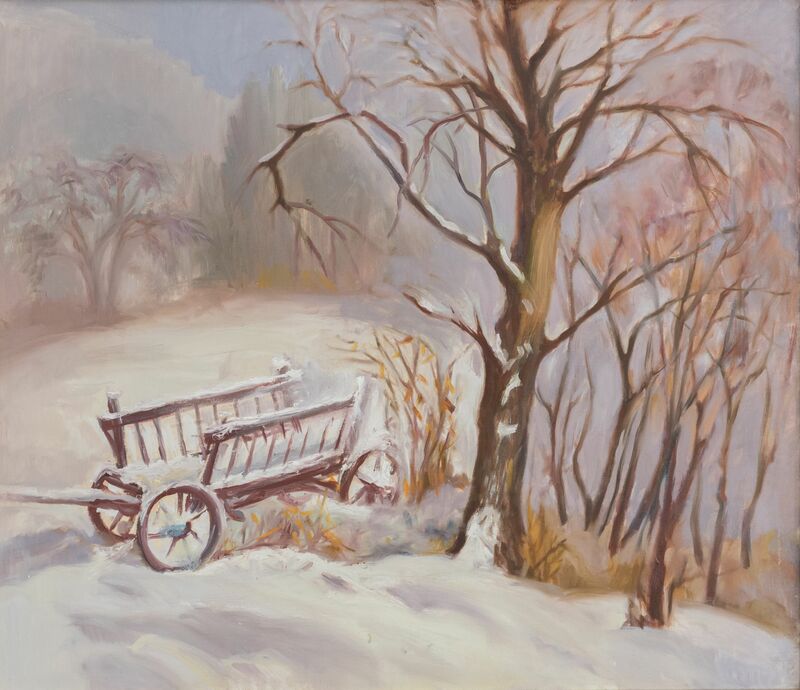 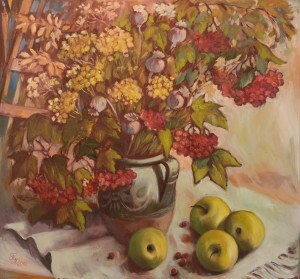 THE ANNIVERSARY EXHIBITION OF MARIIA MYTRYK IN THE GALLERY "UZHHOROD"
The anniversary personal exhibition of the famous Transcarpathian artist Mariia Mytryk was opened on May 19, 2017 in the gallery "Uzhhorod". 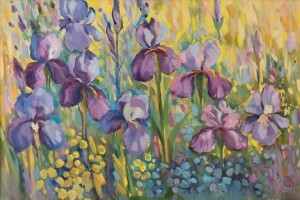 On the occasion of her 65th anniversary, the author submitted to the audience nearly four dozen works, mostly painted in recent years. 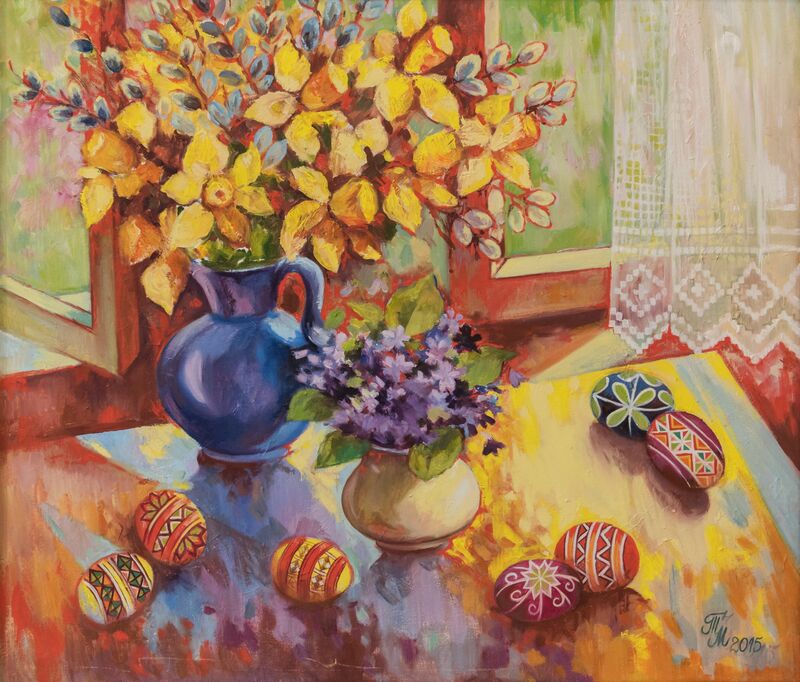 Bright, rich, colourful and as living - paintings by Mariia Mytryk fascinate the audience just from the first steps into the gallery. 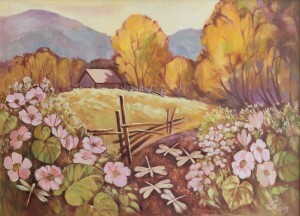 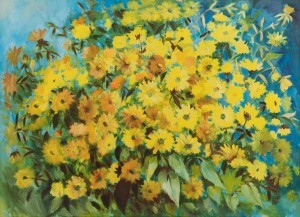 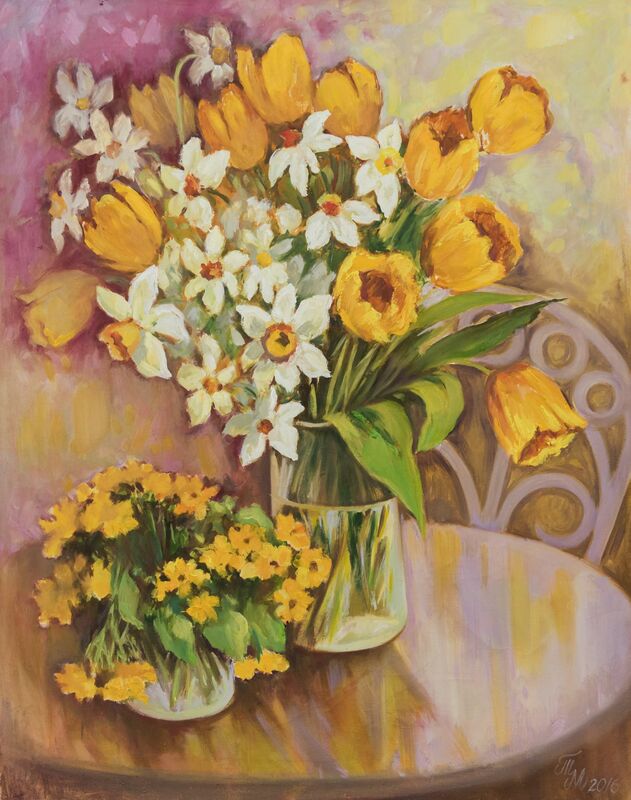 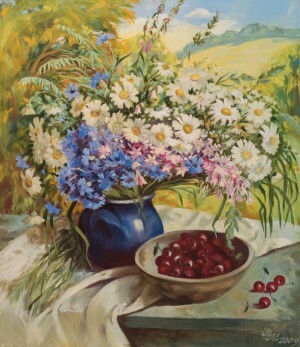 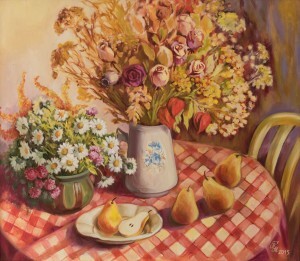 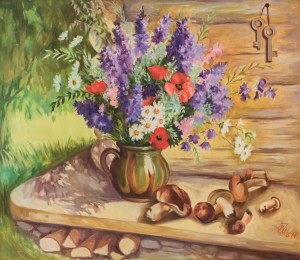 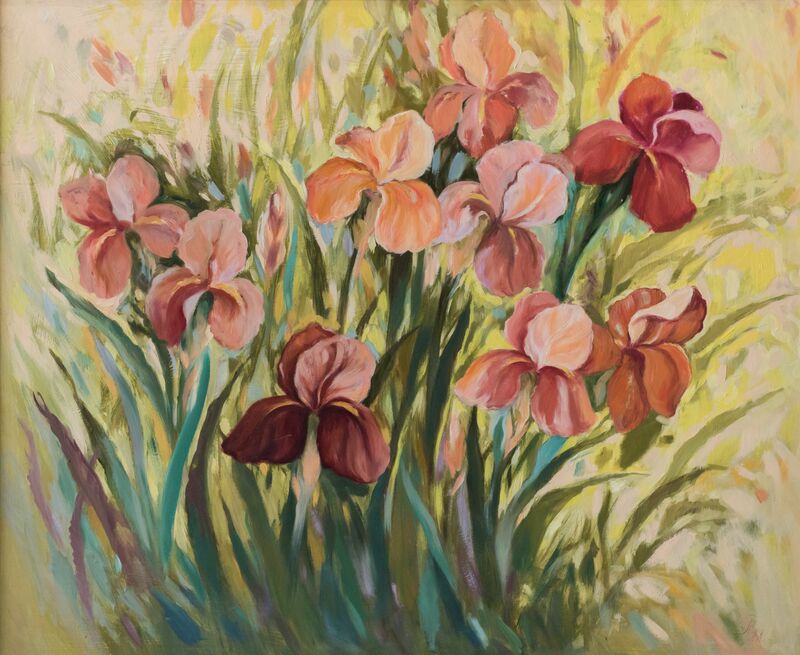 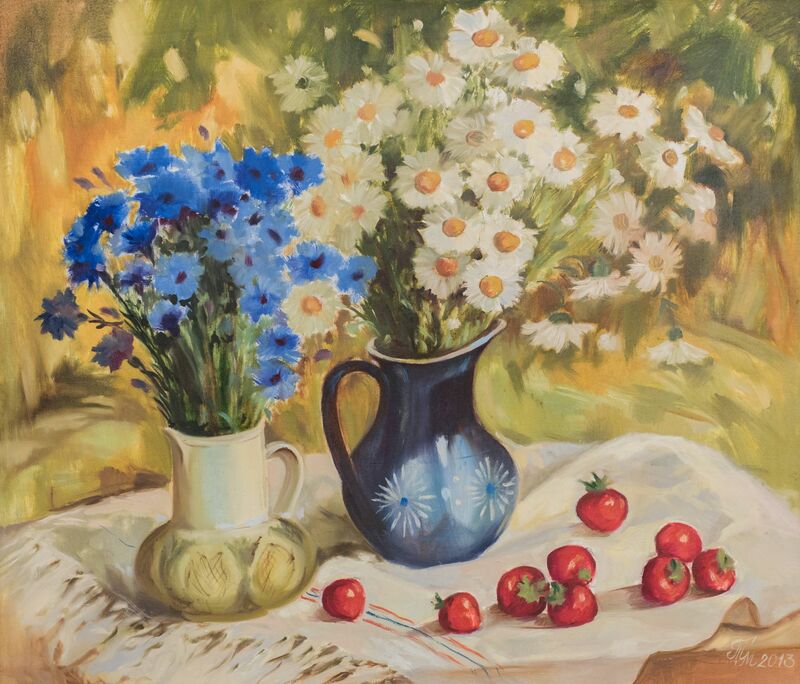 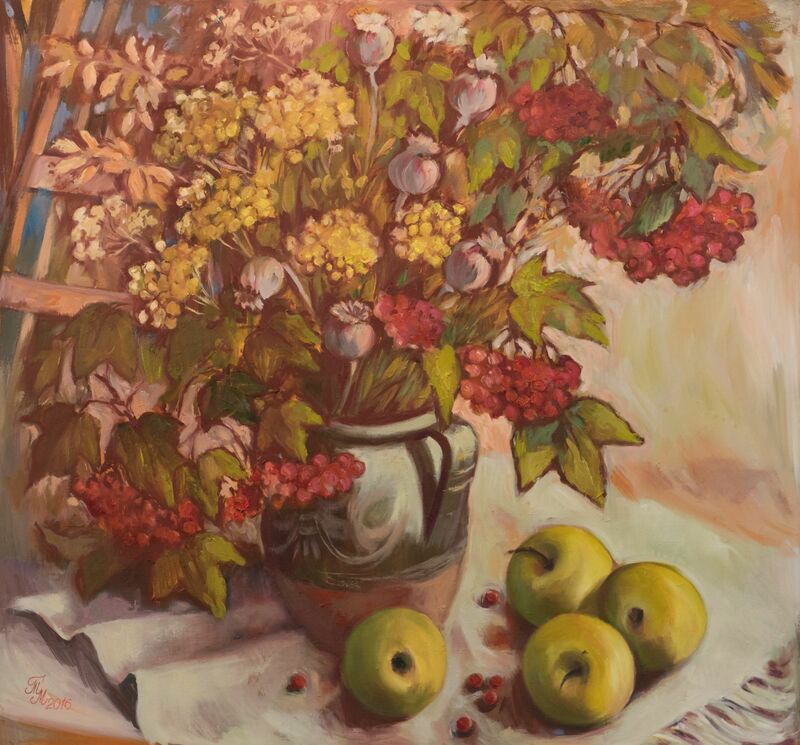 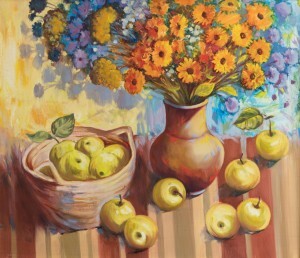 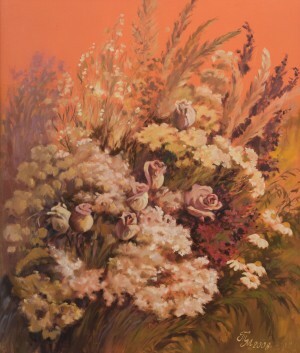 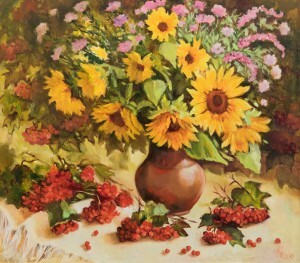 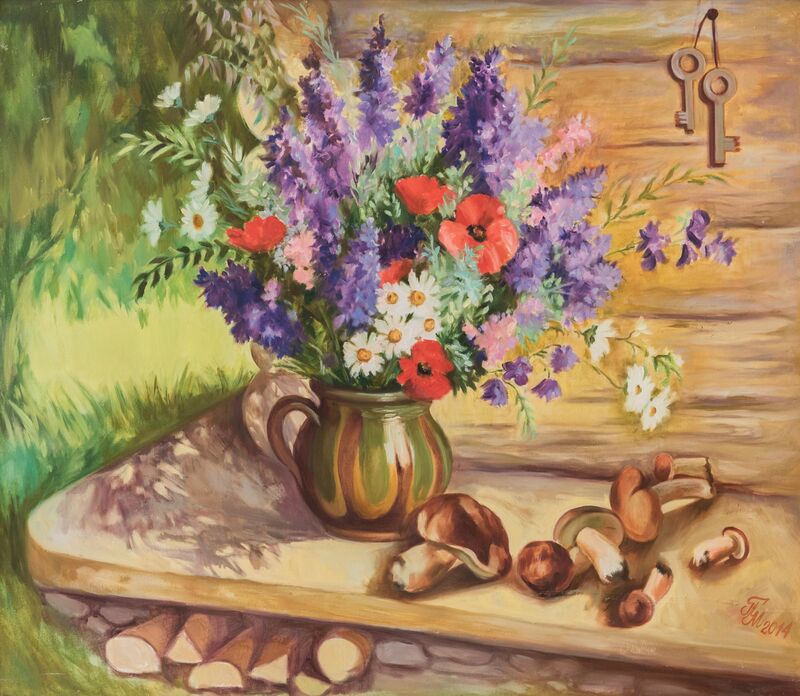 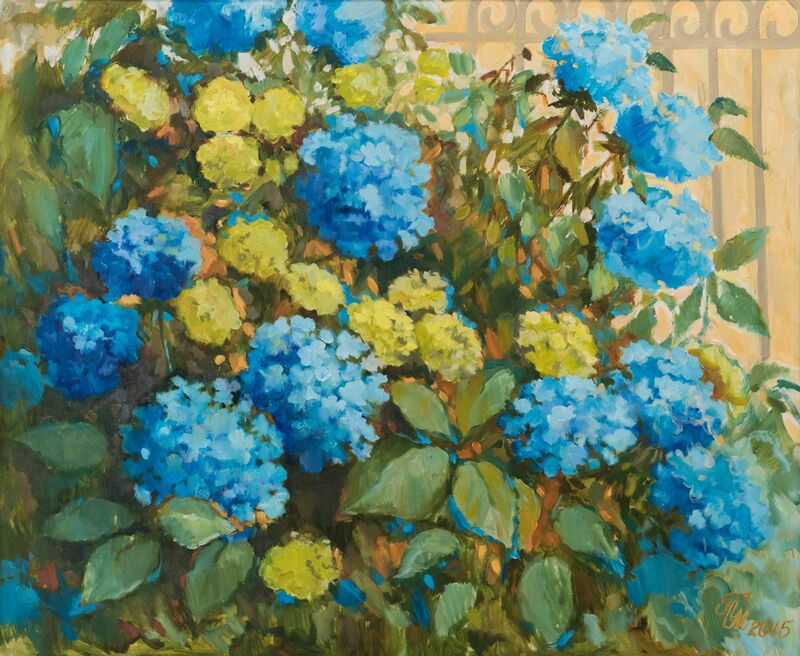 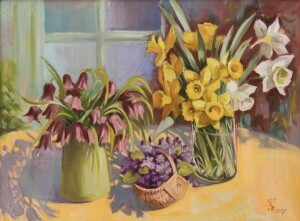 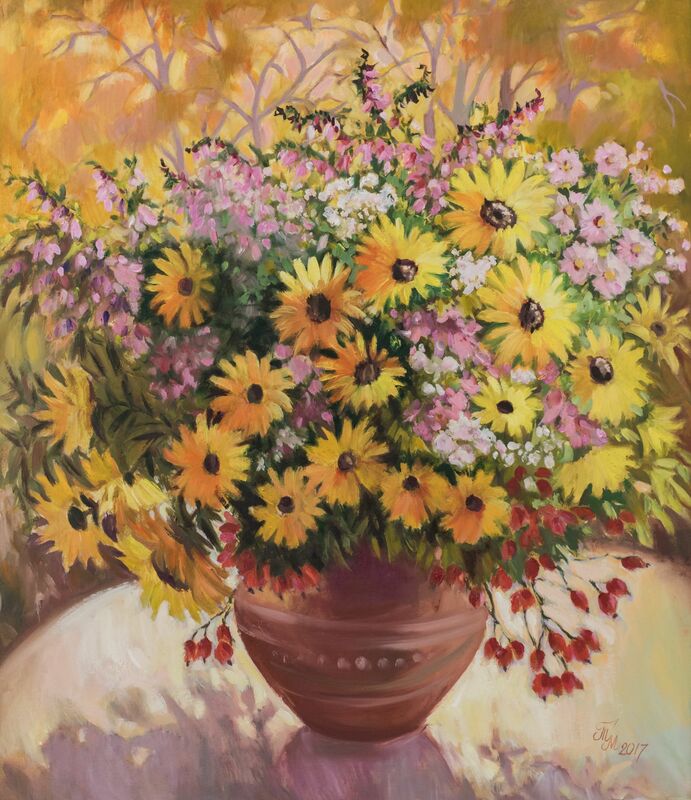 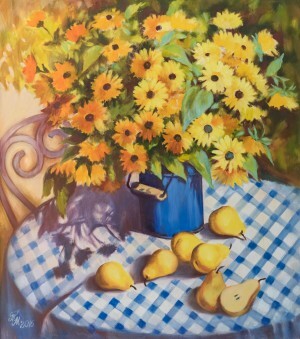 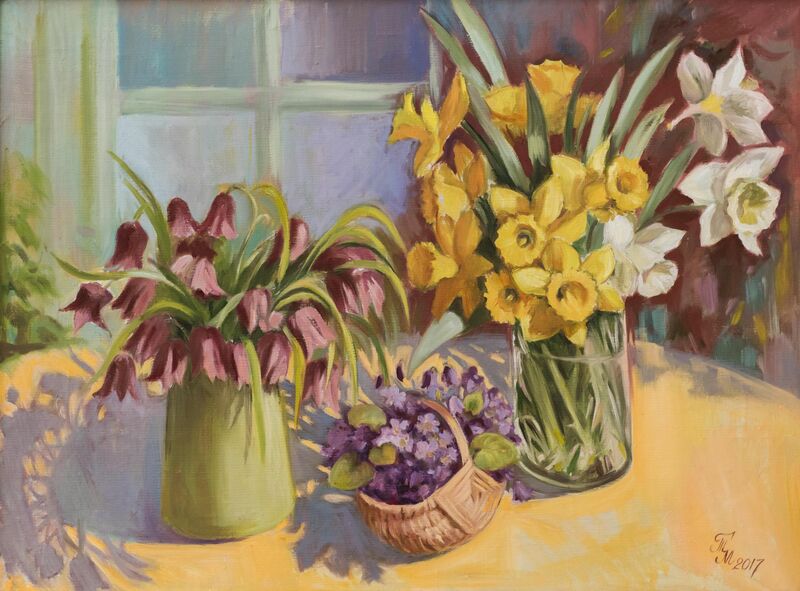 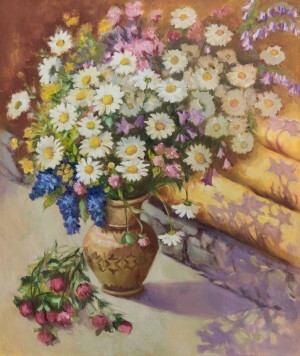 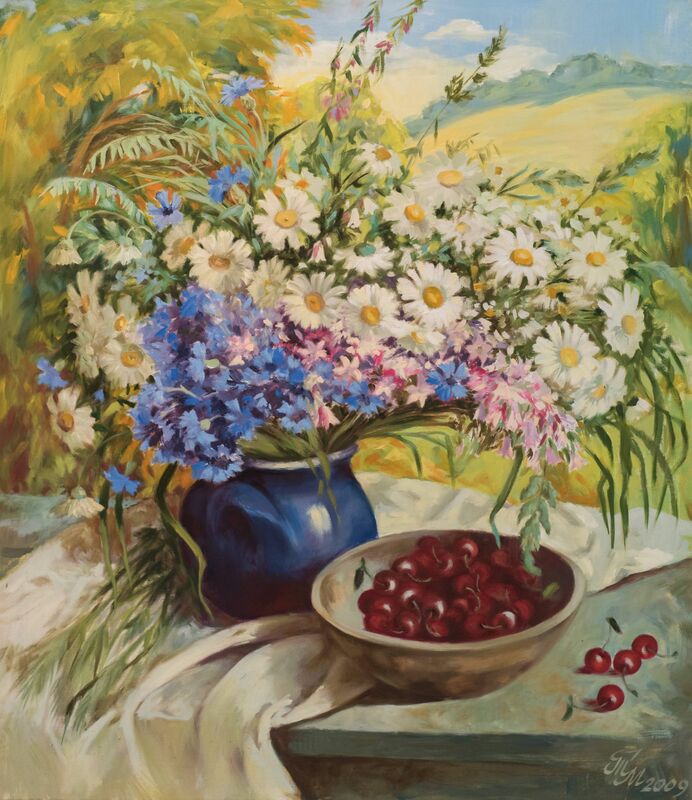 Her canvases are full of spring and summer, they are in full bloom beauty and diversity of sunflowers and irises, camomiles and hortensia ("Summer motive", "Camomiles", "Dried flowers", "Hortensia"). 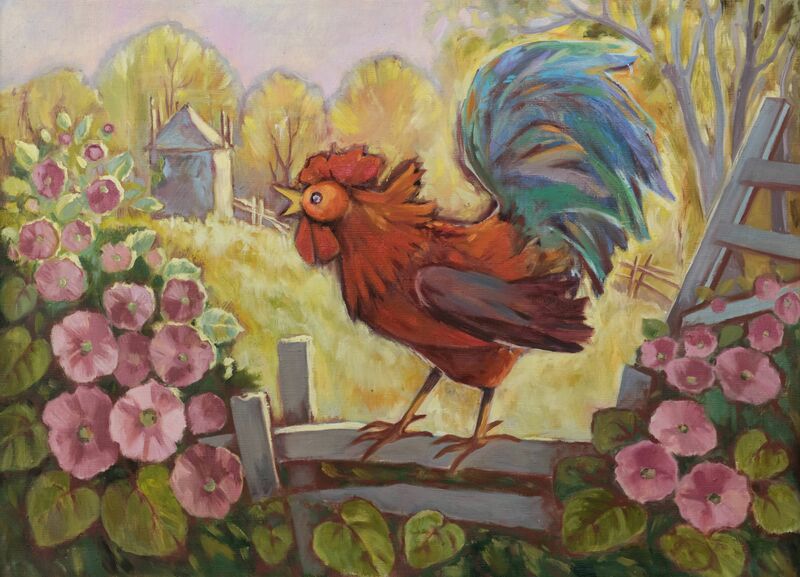 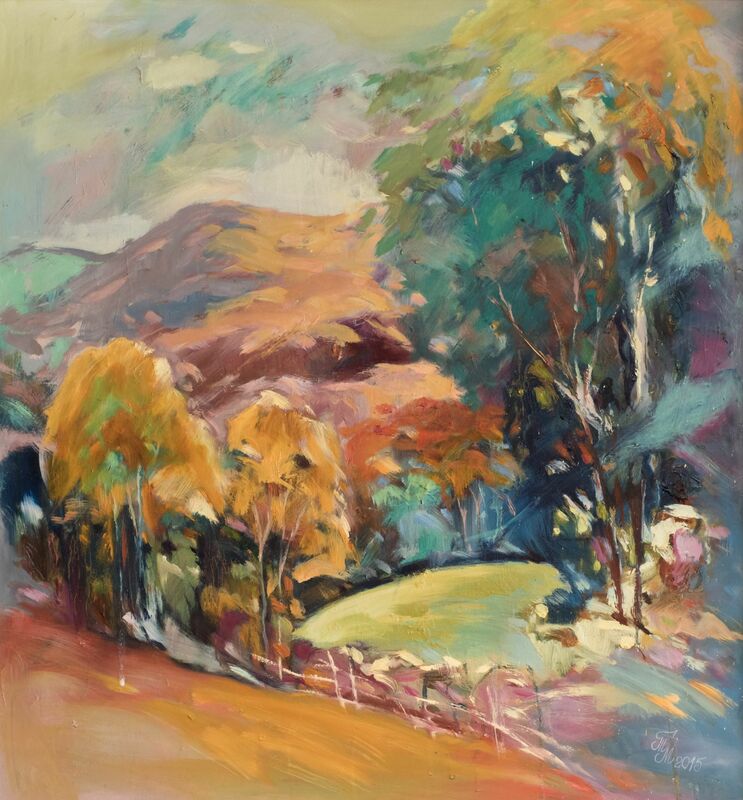 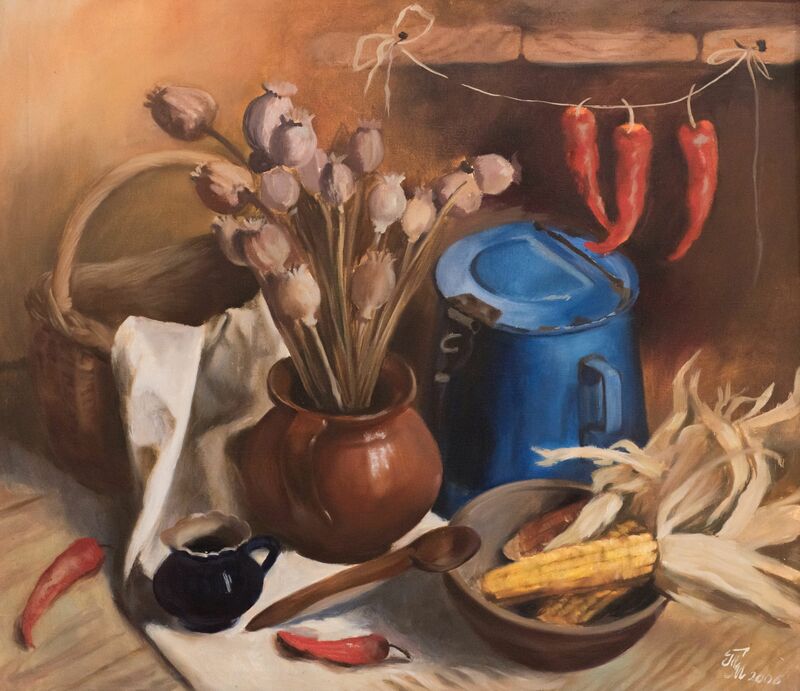 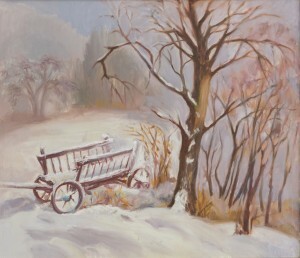 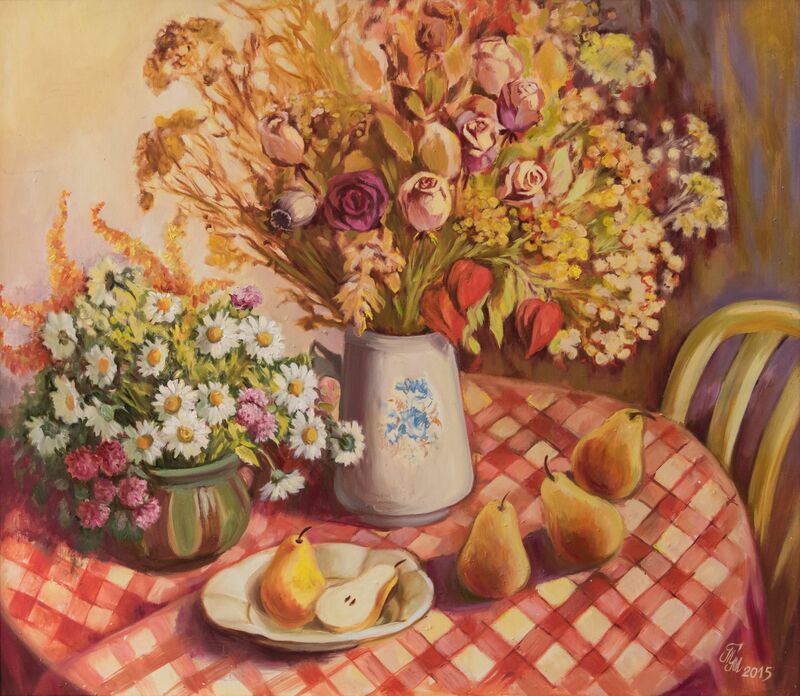 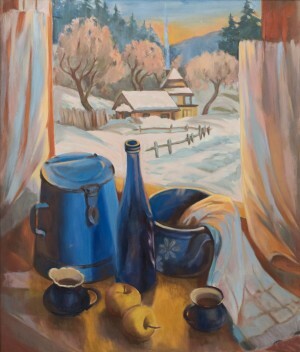 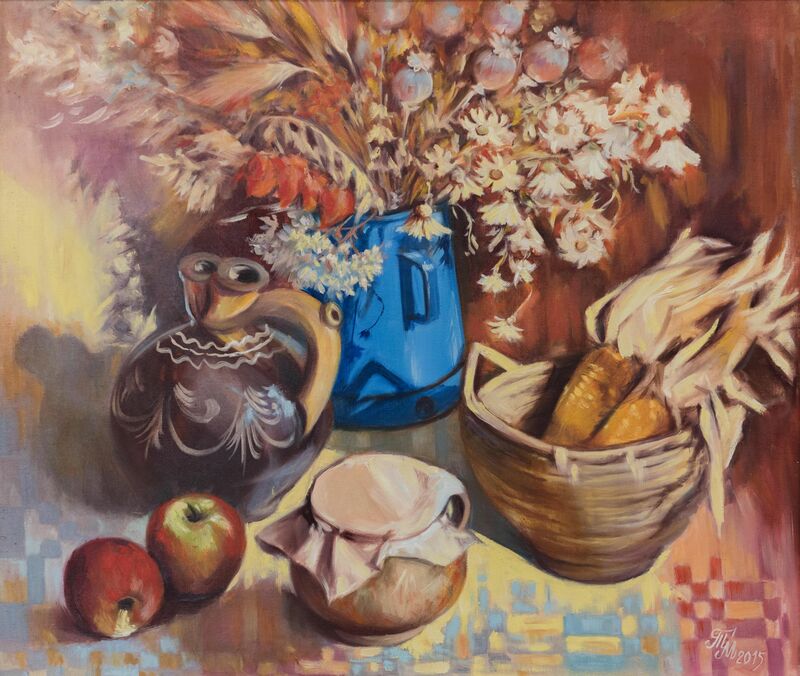 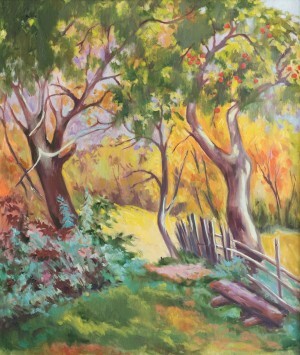 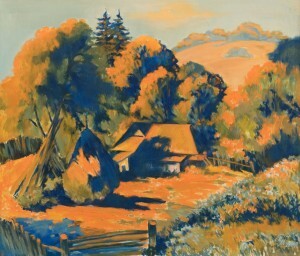 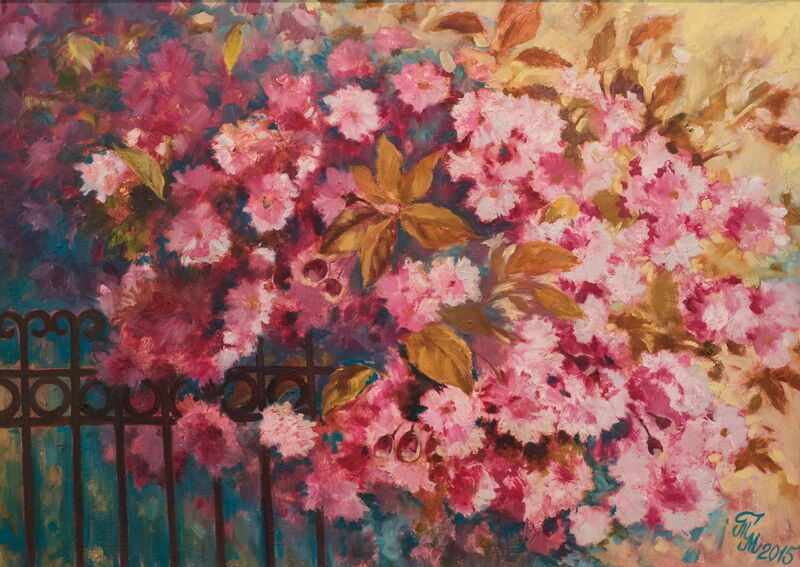 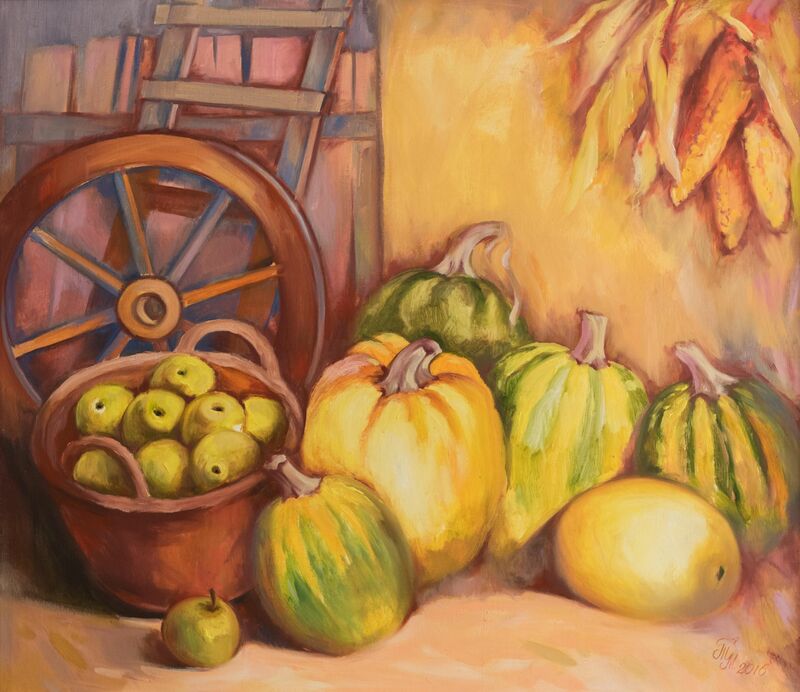 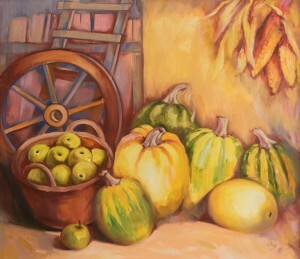 Landscapes and still lifes occupy the imagination of the artist in full, she lives by what she sees and conveys this beauty with the help of colours and shades. "Most of all I like to draw flowers - I describe every flower that I see around me. Maybe someone does not like it, but I'm not after fashion, I do what I like,"- the author says. 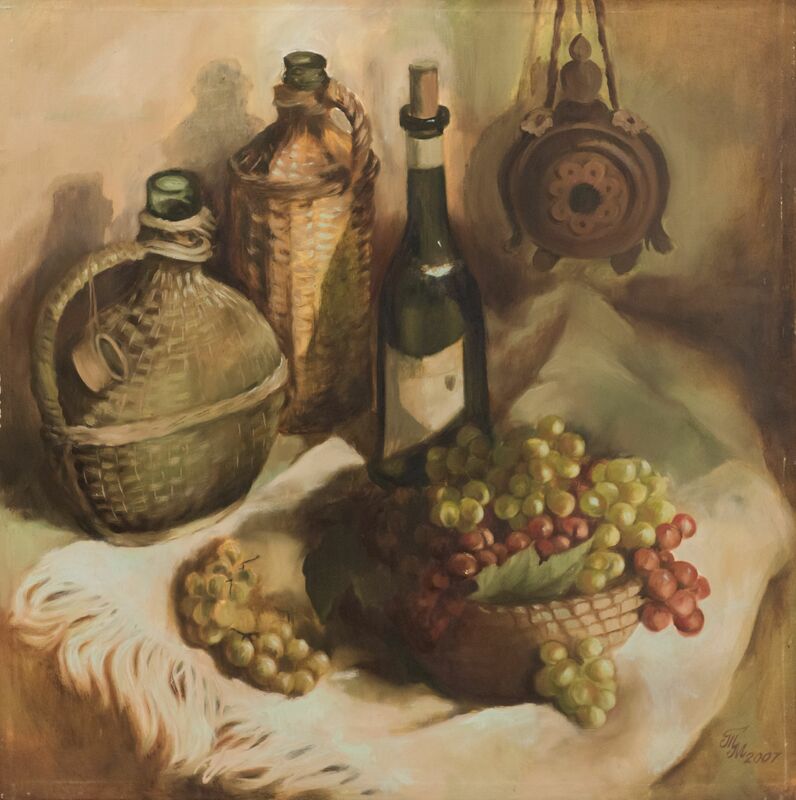 The author also applies to everyday motives: she depicts with particular love objects, household things, which she keeps from her childhood in the studio ("Cosiness"). 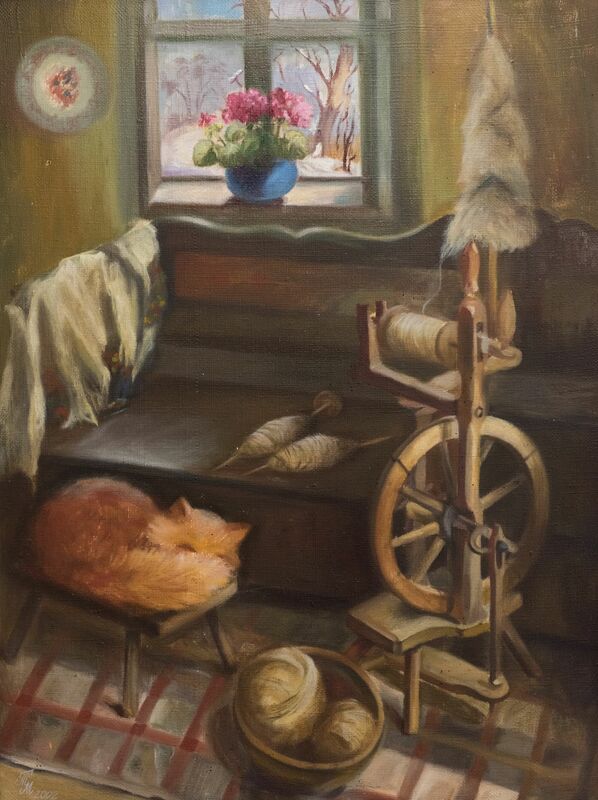 She says that at the time when she takes up the brush, she forgets about everything, almost does not notice the passage of time and thus arts rescues her from everyday life. 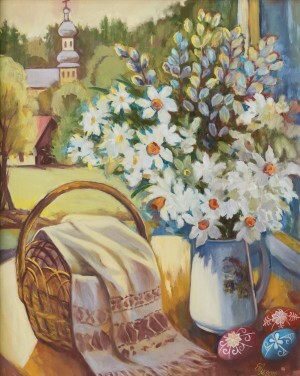 Honoured artist of Ukraine Nataliia Sima-Pavlyshyn, greeting the hero of the day, noted the special mood of the exhibition and its author: "Mariia Mytryk is a person who loves life, people, flowers, children, and therefore love flows from her paintings. Her landscapes, even they are few, are also exceptional - with a special charm and spirit. She is a promising artist, and I sincerely wish her health, that she will be able to create in the future."